An exciting opportunity for a Quantity Surveyor, from a planned maintenance background in property and housing.This opening has arisen with an established main contractor in the East Midlands. Client Details The property and housing team, that this Quantity Surveyor will sit within has a clear career pathway. This main contractor will support development, to work towards Senior Quantity Surveyor, giving the perfect platform to build a strong career. Description You will be responsible for managing your own planned maintenance projects, within the East Midlands, for social housing clients. This role will be varied on a day to day basis, ranging from pricing/scheduling planned maintenance work to managing trainee Quantity Surveyors. You will lead on the Procurement and management of the sub-contractors. As Quantity Surveyor, you will accurately manage the cash flow, writing regular reports, whilst agreeing final accounts and producing invoices for the client. 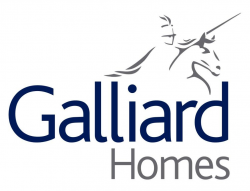 Profile Due to the nature of the work, you must have 3-5 years recent UK experience working on planned maintenance projects, within property and housing. The successful Quantity Surveyor, will live within the East Midlands. Job Offer Market leading package + benefits. Construction Job Board is the perfect job search and online recruitment site for construction professionals in building, design and civil engineering sectors. We are 100% dedicated to providing the best careers in construction and construction recruitment services for a range of industry professionals including Quantity Surveyors, Construction Managers, Estimators, Architects, Building Surveyor jobs, Construction trades, Project Managers, Site Managers, Foremans and other Construction personnel. 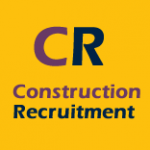 We advertise permanent and contract construction industry vacancies on behalf of construction companies and recruitment agencies. Search 100's of latest Jobs in Construction throughout London & UK and abroad, find a job that matches your skills and send your CV straight to the top recruitment agencies and employers within Construction - covering all specialist areas within construction recruitment we have the job for you! When you sign up to the recruitment services at our Construction Job Site. You can receive our jobs-by-email alert, making sure you're the first to know about new vacancies in Construction that match your skills and experience.